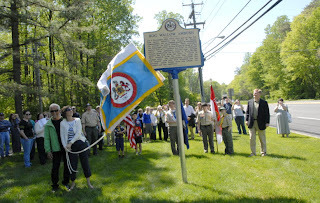 A new historic marker was unveiled May 5 at the intersection of Braddock Road and Dunleigh Drive in Burke to commemorate a Civil War skirmish known as the “Bog Wallow Ambush.” The marker is just outside Annandale, between Rolling Road and Guinea Road. 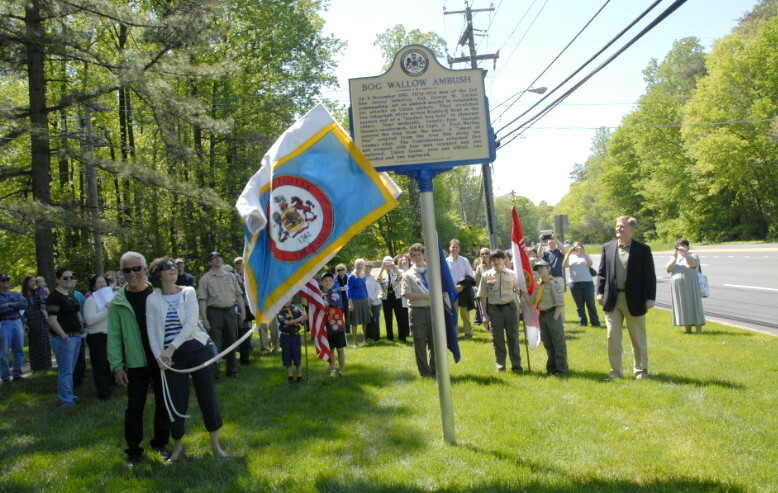 The unveiling was conducted by descendants of the Union scout who planned the ambush of Confederate cavalry and was severely wounded during the attack. Following the ceremony, participants were invited for refreshments at the historic Oak Hill house on Wakefield Chapel Road in Annandale, which was the home of David Fitzhugh at the time of the skirmish and played a significant role in the Bog Wallow incident.